A biker leaves no chance of trying out ..... be it Bikes, be it Tracks, be it Gears, be it Apparels .... be it different types of food ..... or be it.... mmmm ..... you know what ;) !! 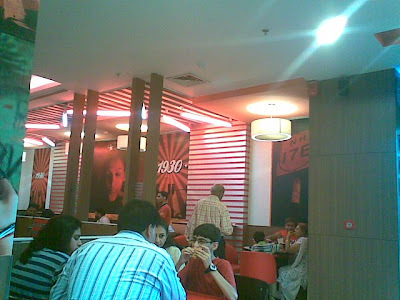 So, to start with.... it's the KFC outlet on Gurgaon MG Road!! 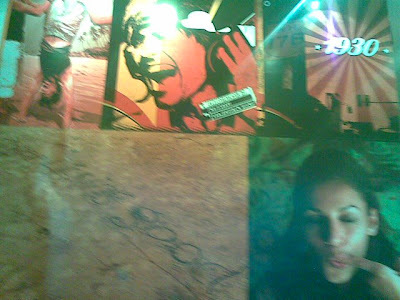 The ambiance is quite nice and very much on the lines of it's parent joints. But the sad part is .... very less options!! I mean .... common man, they don't have the "Mashed Potato Meal Bowl" :( !! Even though the name is Kentucky Fried Chicken, but the layering on the chicken is very thick and very very oily ..... no where near the "Original Recipe"
I tried their "3 Wing Snack", which was kinda Okayish!! The serving style was pretty flat and so was the taste. Meenakshi tried their "Veggie Snack" and amazingly enough, she was quite happy to have it. She liked it a lot!! So, the biker says, it other options are available, KFC Gurgaon can be avoided if you on the look out of quality chicken snack!! I had a Mashed Potato Bowl for dinner tonight...it was good!! Matthew likes them too!! Mashed Potato Bowls are simply YUMMY!! 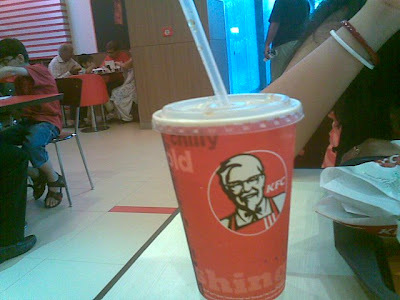 It's so rediculous that KFC over does not have it!! they dont have many items that are present across US and europe...one of them is my favorite chicken popcorn!! The same is applicable for McD and pizza hut as well...they have a totally diferent menu..which are as they call it "indianized menu"!! They might be right in a way...they might not manage to sell those stuff here!! Well yeah .... "Chicken PopCorn" YUMMY! !